Consumer education with measurable results. Electrify America charged us with educating and informing consumers throughout California about recent advances in Zero Emission Vehicles, their supporting infrastructure and their viability for everyday driving needs. We were also tasked with coordinating and serving diverse stakeholder interests including the California Air Resources Board, various California utilities, the Center for Sustainable Energy, community-based organizations and multiple vehicle manufacturers. We designed a program and then assembled and trained a bilingual event team that engaged consumers throughout California. Participants learned about recent improvements in vehicle battery technology and range, current and planned charging infrastructure and applicable incentives that make owning and driving a ZEV extremely attractive. To showcase their drivability, participants spent time in the driver seat of a variety of ZEVs. 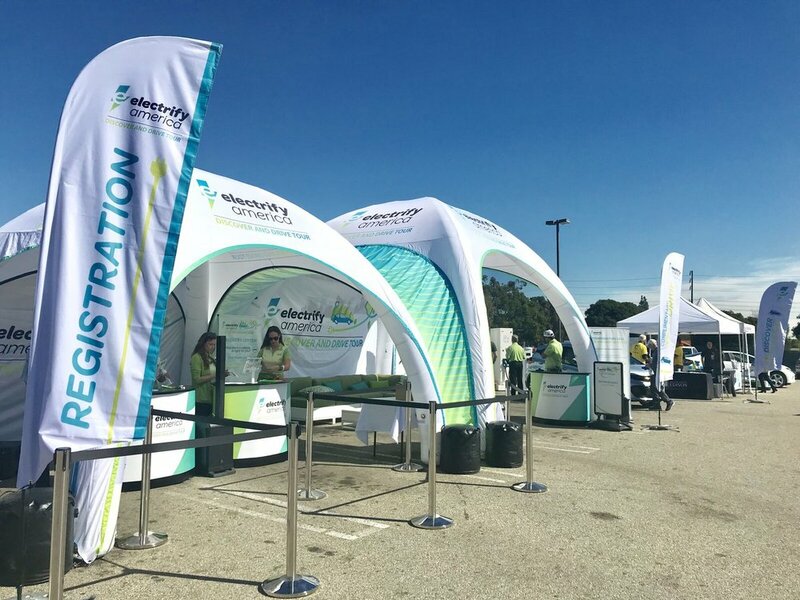 Thousands of participants got to experience what it’s like to drive the latest Zero Emission Vehicles, which included BEVs and hydrogen-powered fuel cell vehicles. Pre-event and post-event surveys demonstrated significant improvements in knowledge of ZEVs and opinion and consideration of Electric Vehicles. The ultimate result? A significant percentage of participants said they would consider owning an Electric Vehicle in the future after participating in the program.